This microneedling device creates tiny portals in your skin to help build reorganized collagen to fill in scars, improve stretch marks and wrinkles, and help with skin texture and pigmentation. 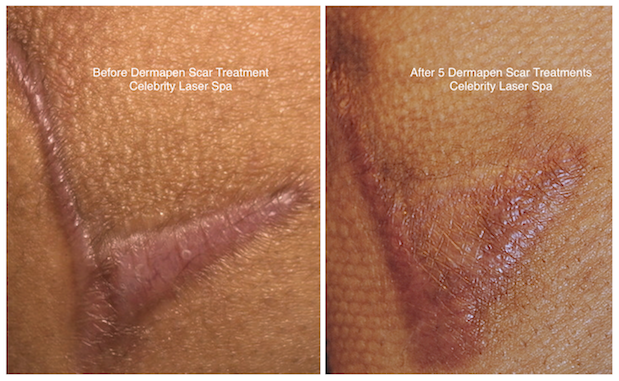 With only a day or two of mild redness (versus three days of sunburn with ointment application with our CO2 fractional treatment), you can go about your life. Because it is more superficial than the CO2 treatment, you will need to return monthly for these treatments, with full results in 6 months. 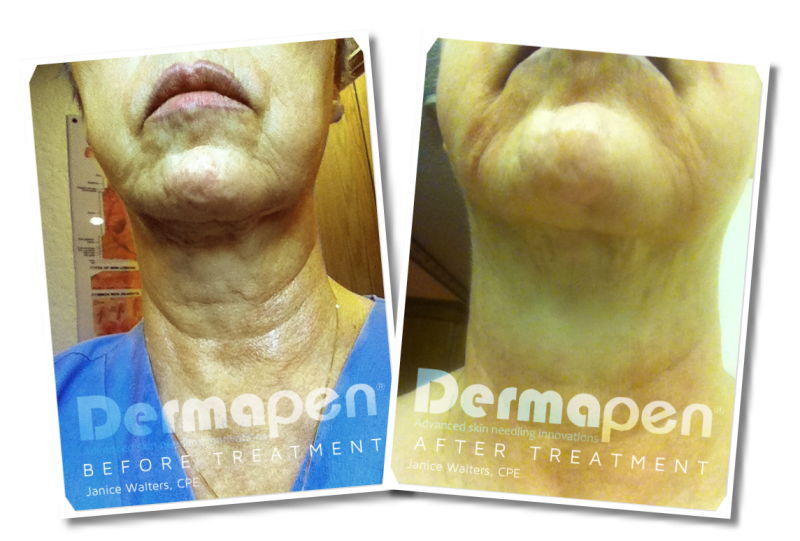 As we age our body begins to lose volume, and our skin becomes loose and elastic. This naturally happens as the building blocks of collagen proteins that help keep our cells strong and connected begins to degrade and become weaker over time. As a result, gravity tends to have more influence on your skin cells, and over time this creates droopiness, wrinkles, and bands on your skin. 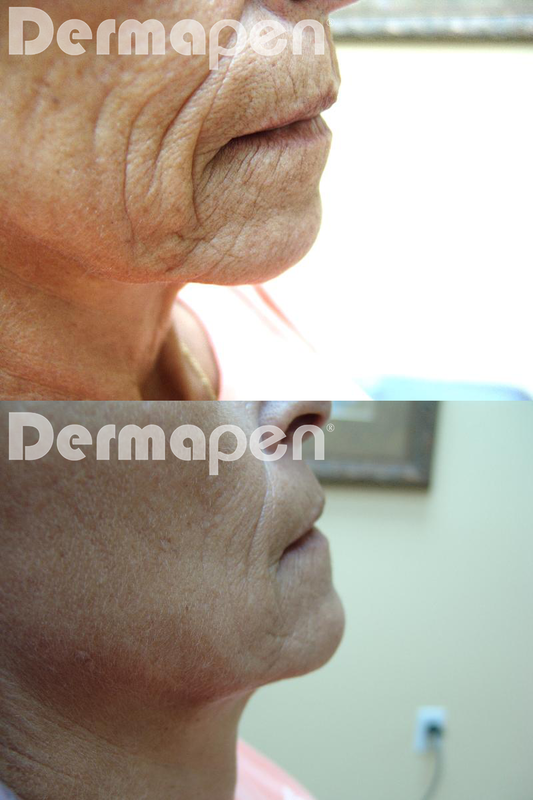 This is the problem that microneedling and Dermapen aims to solve — and many have said that we do that job very well. Microneedling, also referred to as collagen induction therapy, involves using super-fine needles to create hundreds of tiny, invisible puncture wounds in the top layer of the skin. These wounds are called micro-injuries, and the micro-injuries that you create with microneedling stimulate the body’s innate wound-healing processes. 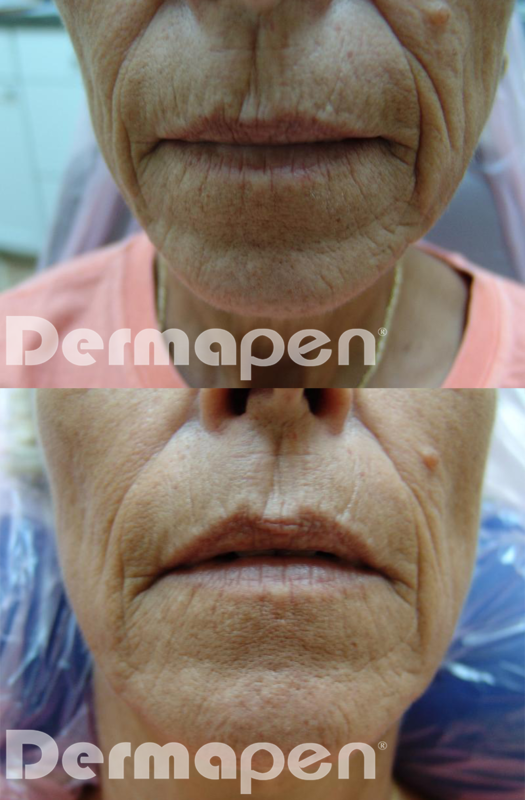 How Does Microneedling With Dermapen Tighten Skin? During the skin’s healing process, your body produces fresh collagen to replace the damaged collagen, which rejuvenates your skin by increasing your body’s natural production of collagen and elastin. This results in an overall improvement in the texture and tightness of your skin by “filling in the lines,” and removing the wrinkles, scars, and stretch marks that can keep you looking young as you age. 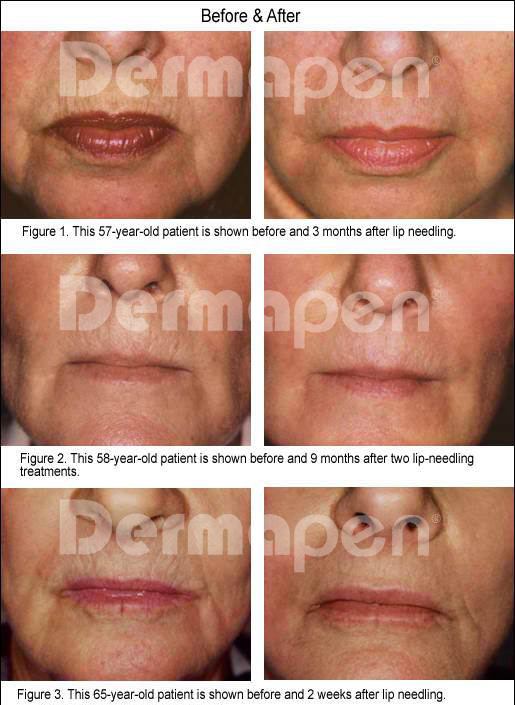 How Many Microneedling Sessions Does It Take To See Tightened Skin? The number of treatments required varies based on two things, the first being the results you want to achieve, and the second being which part of the body treatment is being performed on. Just a few sessions of microneedling will noticeably reduce fine lines, crow’s feet, and deep wrinkles on the forehead. For most wrinkles or stretch marks on the body, depending on the severity, you may need 4 to 8 microneedling treatments to achieve optimal skin-tightening results. The risk involved in microneedling treatments is very minimal. After a treatment, dry skin or red discoloration may occur, which will typically subside within a week.